Unlike his better known contemporary, Paul Jacob Naftel, Peter Le Lievre never exhibited his paintings or sought election to the Society of Water-Colour Artists. Either would have brought him recognition, and perhaps even wealth, but his painting remained a private hobby known only to his friends and ‘those who have visited his studio’. Since his death, however, Peter Le Lievre’s watercolours, which depict with charm, delicacy and accuracy the landscape, buildings and people of 19th century Guernsey, have commanded an increasingly high local esteem. Peter Le Lievre was born in St Peter Port in 1812 and lived his entire life at No 17 Hauteville, where the blue plaque now hangs. He was the son of Pierre (or Peter) Le Lievre and his wife Maria. The family business at that time sold white and black paint, red lead, turpentine and linseed oil from the ground foor in their Hauteville home. The Le Lievres were also involved in a number of other enterprises, including a lead manufactory which in 1811 was located in nearby Fountain Street. Young Peter had a classical education at Elizabeth College and seems to have done well at his studies, although there is no record that he received any formal art instruction,his artistic talent must have been evident. His first known published works form part of a series of prints commissioned by Matthew Moss to record Channel islands views when the artist was barely in his twenties. On leaving school, however, Peter went straight into the family business, which soon ceased to deal with general merchandise and concentrated on wine. From all accounts he very soon acquired a reputation as a man of sound judgement and business ability. 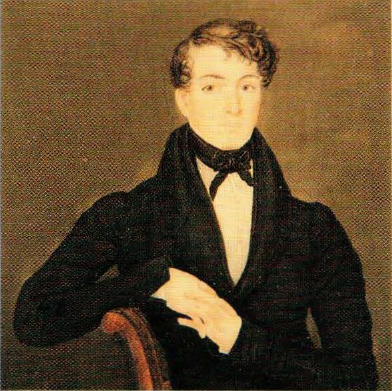 On his father’s death in 1848, Peter was left in charge of the family business. A bachelor all his life, he found it comfortable to remain with his widowed mother and younger sisters, Mary (born 1813) and Louisa (born 1818) at the family home in Hauteville. After his mother’s death in 1856, his two sisters, who also remained unmarried, kept house for him. Le Lievre was very active in local politics and was Constable of St Peter Port in 1846 and 1847. He was elected to the St Peter Port Douzaine – an office he was to retain for the next 30 years. He was also a member of several prominent States of Guernsey Committees namely : for the construction of the New Harbour and the Town Markets. The New Harbour was a vast engineering feat which in the mid-1850’s increased the size of the Harbour from 8 acres to over 80 acres, making it the finest deep-water anchorage in the Channel Islands. Peter is known to have designed the two lighthouses at the ends of the new piers. A design by him for the Town Market exists in a private collection and, although this was not adopted, it was said that ‘to his good taste the architect of the new Market is indebted for many useful hints’. Like all islanders at this time, Peter Le Lievre served in the local militia. He was commissioned as a nineteen year old Second Lieutenant of Artillery in 1831. He rose through the ranks of Captain in 1835 and Major in 1838, to become Lieutenant-Colonel in command of the Royal Guernsey Artillery Regiment in 1868. His Artillery uniform coatee and dress sword can now be seen on display in the Militia Museum in Castle Cornet. In total contrast to his prominent public profile, Peter Le Lievre kept his artistic talents completely in the background. His published work was restricted to less than a dozen prints commissioned by Matthew Moss in the early 1830’s; 7 illustrations in the 1876 2nd edition of Tupper’s ‘History of Guernsey’; and the 19 illustrations he contributed to Ansted & Latham’s ‘The Channel Islands’ of 1862. The first known exhibition of his work was mounted 26 years after his death in 1904 when his sister, Mary bequeathed 27 of her brother’s watercolours to the Guille-Alles Library. These were displayed, along with 4 paintings by Paul Naftel. Despite his busy public life and amateur status, Peter Le Lievre’s output of paintings was considerable. The Guernsey Museum & Art Gallery’s present collection is based on the 27 paintings bequeathed by Mary Le Lievre in 1904, augmented by a further 103 paintings and sketches bequeathed by great-niece May Bremner, nee LeLievre, sent from Australia after her death in the 1950’s. The majority of Le Lievre’s pictures are watercolours; a single large oil painting depicts a view of Castle Cornet and St Peter Port from the now-demolished First Tower. Many of his larger watercolours depict the cliffs and bays of Guernsey’s south coast, notably Petit Port, Moulin Huet and Le Gouffre. 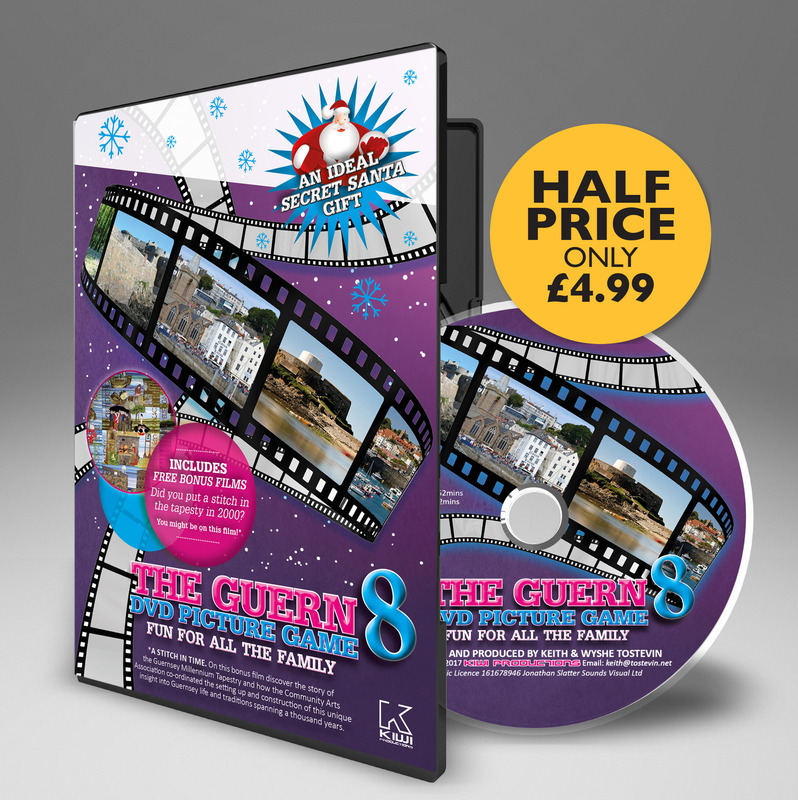 Others show the Moulin Huet valley and water lanes, an area that would have been well within walking distance of Le Lievre’s Hauteville home. Additionally many sketches and paintings show west coast scenes, such as the vraic (seaweed) gatherers in Rocquaine Bay or shipwrecks. Although some of Le Lievre’s best work, however, must be his sketches of his fellow islanders. Peter Le Lievre died on 17 February 1878, in his 66th year. He was buried on the 21 February in the Le Lievre family vault in Candie Cemetery, not fifty yards from the art gallery where his paintings are now exhibited.